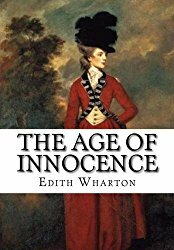 Review: The Age of Innocence by Edith Wharton | What Would The Founders Think? The Age of Innocence should be read because Edith Wharton is an exceptional writer and an astute observer of the human condition. It should be read to enjoy the finely drawn portraits of memorable characters and the sly humor sprinkled through the author’s social commentary. Finally, read it to determine if there is a message beyond the ambiguity. This reviewer recently read The Age of Innocence, a novel by Edith Wharton circa 1920. (Better late than not at all.) Wharton’s prose is a rare pleasure and her insights into the human condition are timeless. The Age of Innocence dissects the cruelties and hypocrisies of upper class East coast (especially New York) society in the late 19th century. The protagonist is Newland Archer, heir to one of New York City’s best families. Archer is a gentleman lawyer, meaning that his position permits him, nay requires him, to spend more time in gentlemanly pursuits than his vocation. The story opens with Archer’s approaching marriage to the lovely May Welland, a sheltered product of her class. She is considered by Archer, and by all whose opinions matter, to be a perfect match. May’s cousin, the exotic Countess Ellen Olenska, shatters Archer’s complacency even as the marriage takes place. He admires Ellen’s courage for running away from her husband although circumstances are questionable. Refusing to return as society commands earns his respect. He becomes increasingly critical of the unfair social and legal restrictions placed upon women and the snobbery and inequities of his class. Not only the seductive Ellen enchants Archer. It is the possibility of breaking free of the stultifying strictures that circumscribe his life. He begins to question the verities of his youth. The Age of Innocence is a love story; more accurately two love stories – May’s love for Archer and Archer’s love for Ellen. Both stories entail sacrifice and nobility. May is more aware of Archer’s love for Ellen than he suspects. She recognizes the threat that Ellen represents and quietly works to thwart it. Meanwhile, Archer is engaged in his own struggle, albeit one with himself. Archer realizes that his criticisms notwithstanding, the barriers that keep Ellen from him support honorable men, stable families and the societies they form. Now, almost 100 years later, Europe doesn’t look so sensible. The winds of change are indiscriminate. They blow away that which deserves destruction but old verities, and the faith in which they are rooted, are often discarded in the process. Ellen’s associates consider religion passé but still search for something to believe in. Admirable and despicable individuals are found in both camps. Wharton is ambiguous about what she intends to convey. This reviewer’s takeaway is that the desire to escape from established norms is on going, albeit under changing names. The difference is that the assault on civilizing structures becomes ever more blatant. In summary, The Age of Innocence should be read because Edith Wharton is an exceptional writer and an astute observer of the human condition. It should be read to enjoy the finely drawn portraits of memorable characters and the sly humor sprinkled through the author’s social commentary. Finally, read it to determine if there is a message beyond the ambiguity. Glad you are back Marcia!